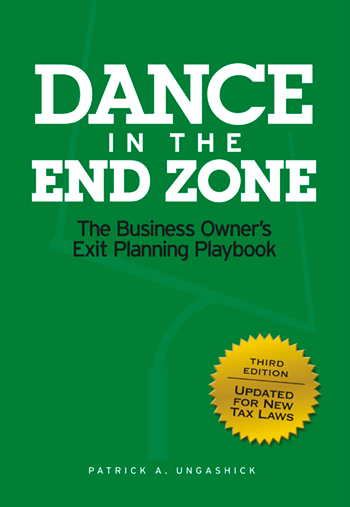 Most owners exit only once, and can ill afford to overlook anything or get surprised along the way. 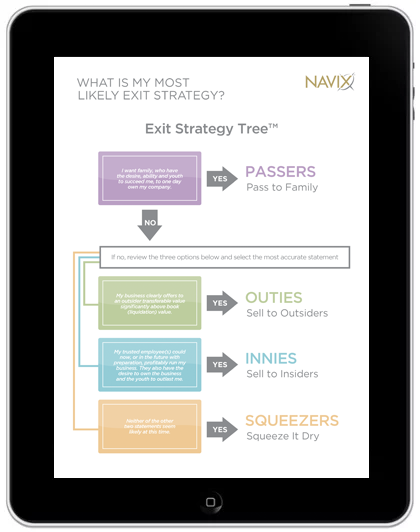 The following resources will help you learn how to prepare for exit and the value of working with NAVIX. 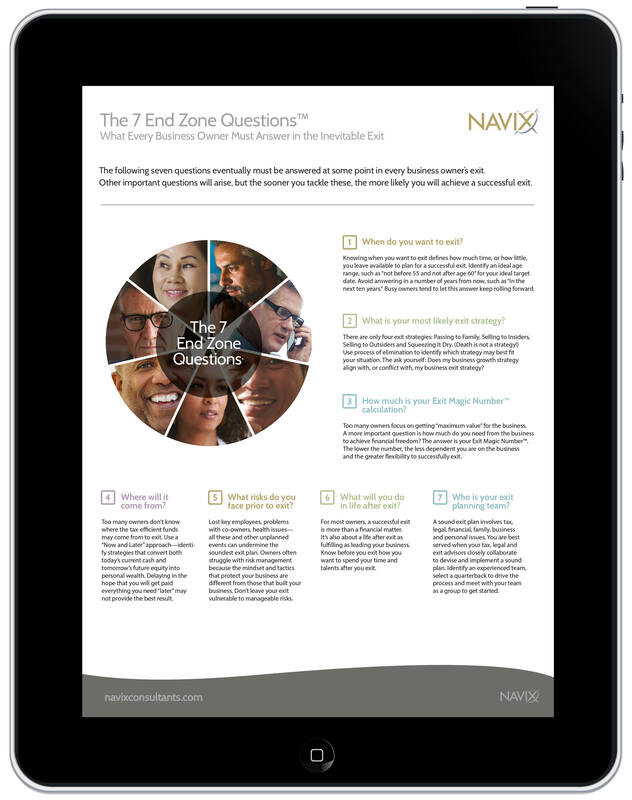 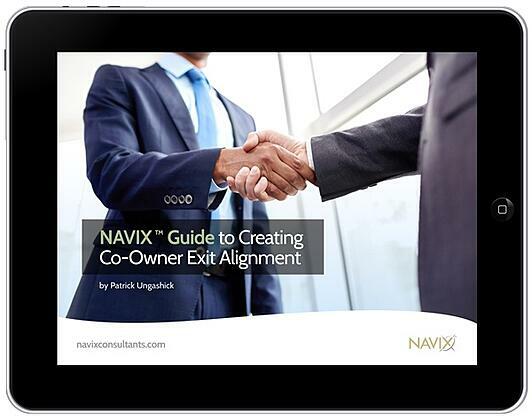 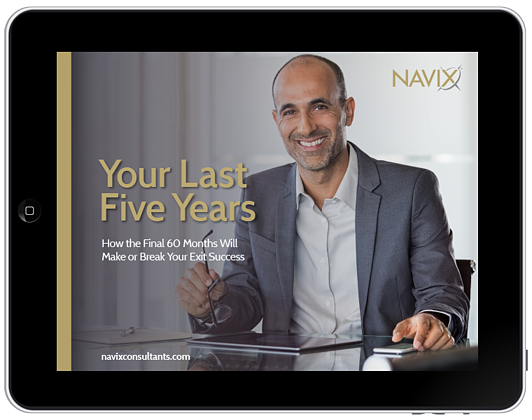 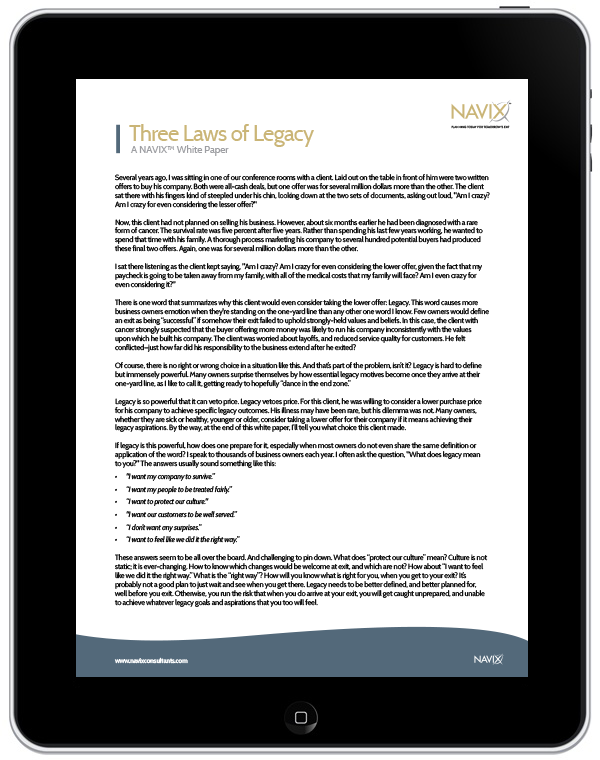 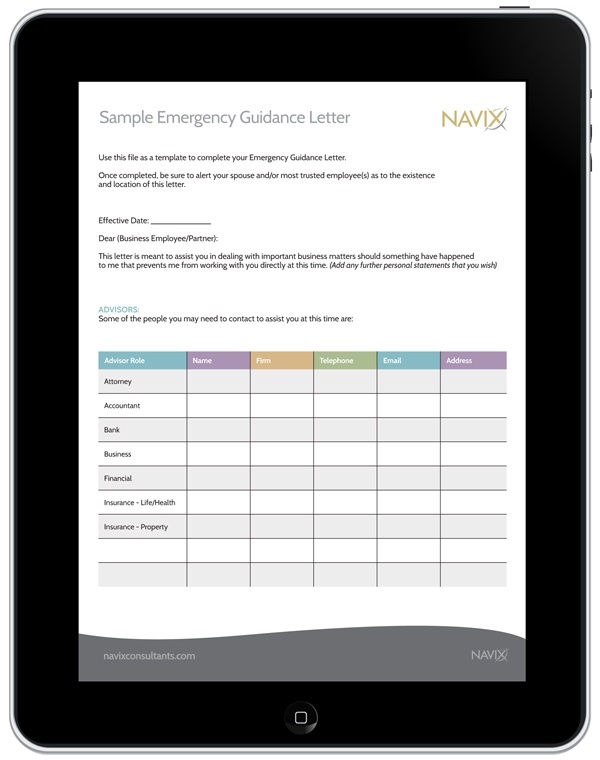 Review and download the following complimentary NAVIX tools and articles to help you plan for and achieve your successful exit. 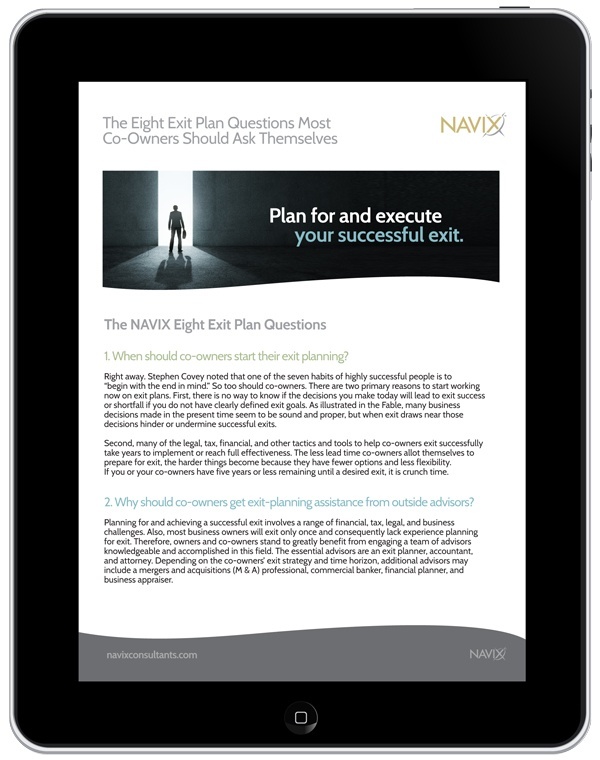 Review the following complimentary NAVIX White Papers and eBooks for an in-depth discussion of an exit planning topic that may apply to your situation. 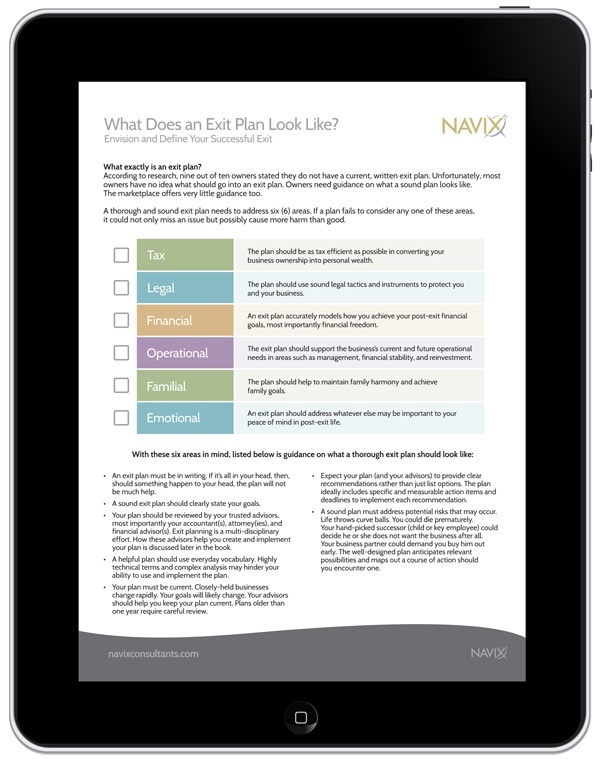 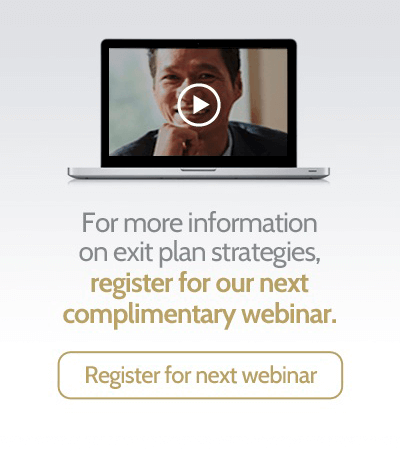 Each of the following complimentary on-demand NAVIX webinars presents an in-depth look at an important topic within your unique exit planning needs. 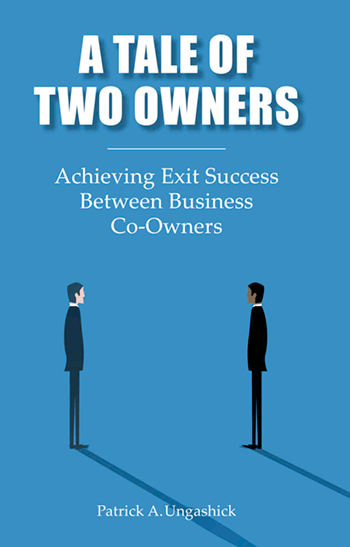 Putting Golden Handcuffs on Key Employees: Where would your business be without your most valuable people? 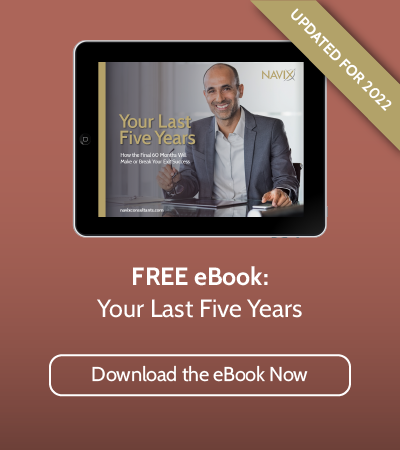 & Jeffrey B. Sladkus, Esq. 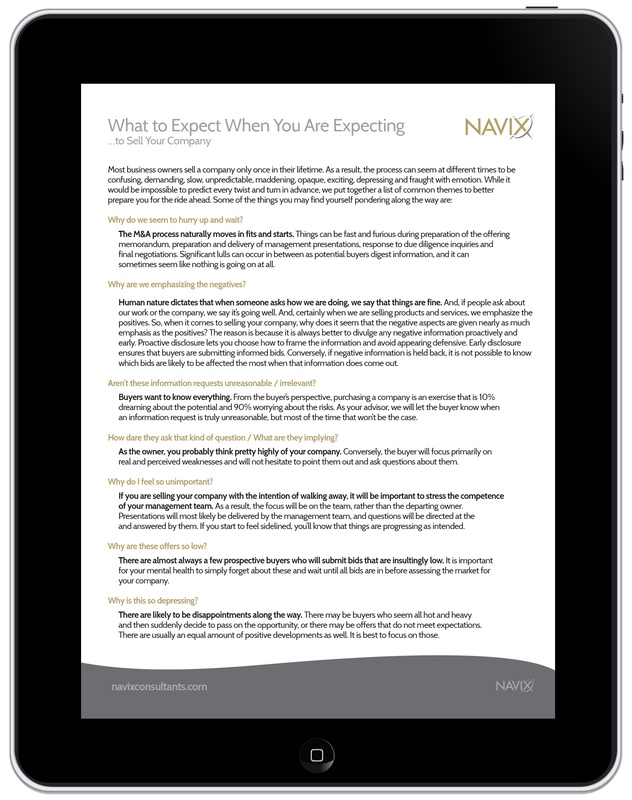 What Should You Do with All Those Unsolicited Buyout Offers? 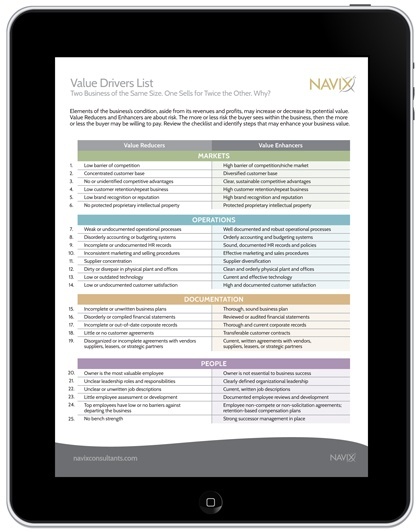 The NAVIX Education Video Library is divided in to nine categories. 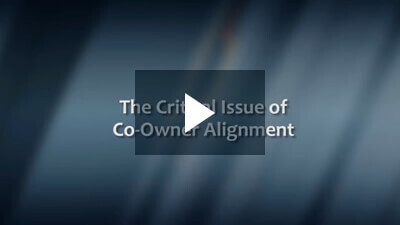 The first video in each category is presented below. 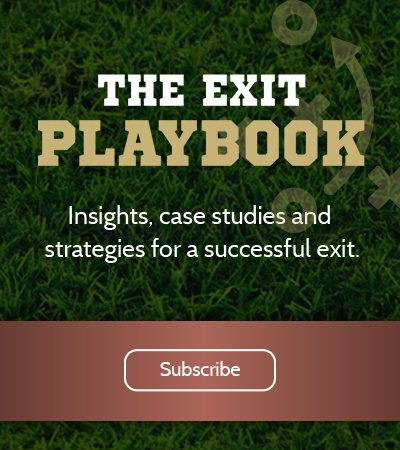 If you would like to unlock the rest of the Library, just complete the free registration form within any of the first videos. 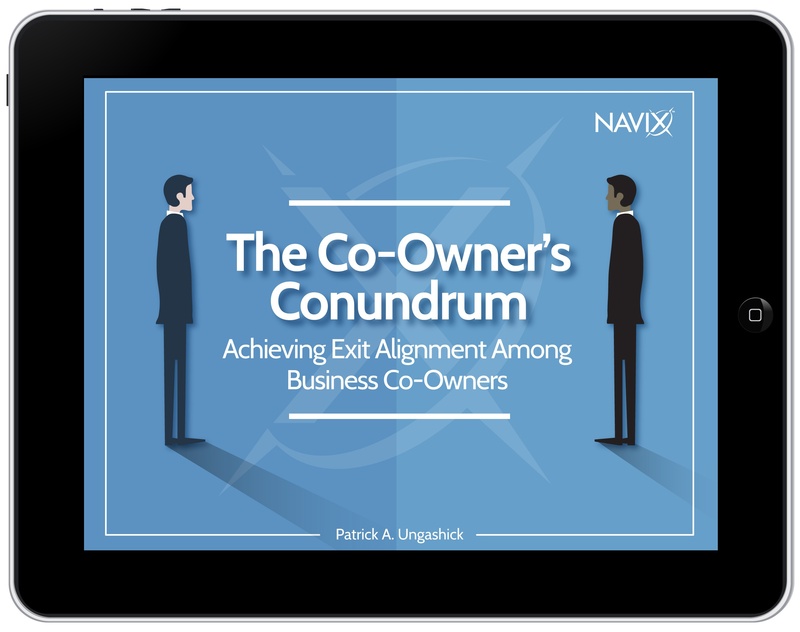 Why are Owners So Unprepared for Exit? 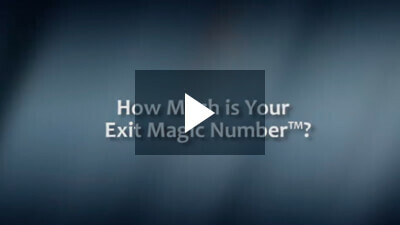 How Much is Your Exit Magic Number™? 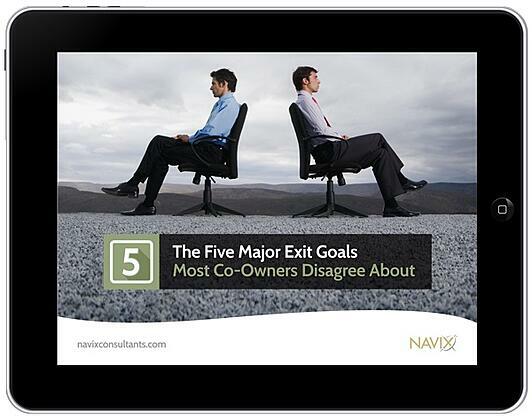 Should You Discuss Your Exit with Your Employees? 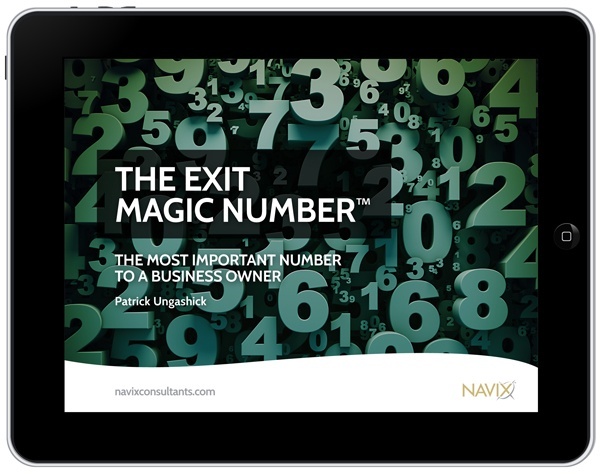 How Long Have You Been Telling Yourself You are Going to Exit from Your Business in the Next 5 to 10 Years? 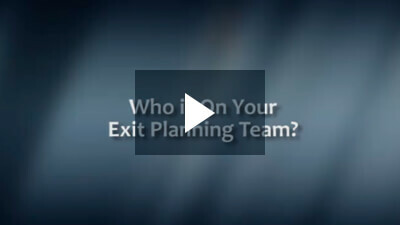 Who is On Your Exit Planning Team?